Egg rolls are a great bar food snack. I like to make these Jay D's Louisiana Barbecue chicken egg rolls when I have a bunch of friends over because they're easy to make and easy to hold when you have a beer in the other hand! Preheat frying oil to 350 degrees F. Heat saute pan with olive oil and saute vegetables with mirin, sugar, salt, and pepper until soft. Remove and set aside to cool. Heat chicken in saute pan with barbecue sauce and simmer until thick. Remove and set aside to cool. Fill eggroll wrappers with 1 Tbsp. sauteed vegetables and 1 Tbsp. of chicken. Use the egg to seal the wrap. Fry until golden brown. 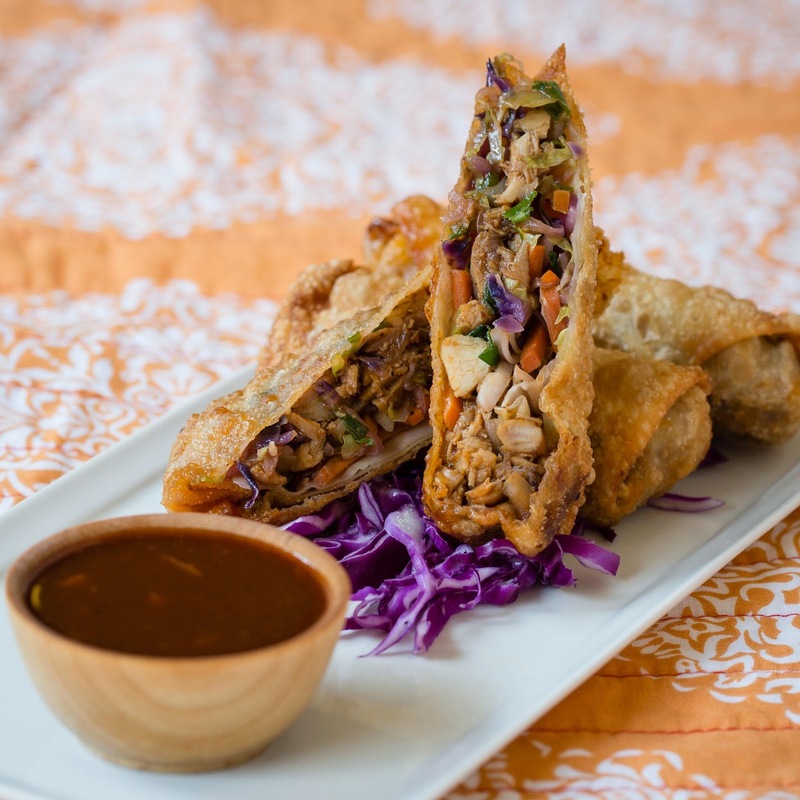 Serve with Jay D's Asian Barbecue Sauce!